How do you quantify the development footprint in a large but poorly mapped area? How do you understand what drives development impacts, how these drivers interact, and ultimately provide information that can help to inform how these cumulative impacts are managed to assist in conserving the natural values of the region in perpetuity? Growing human populations and increasing scarcity of natural resources are pushing the frontiers of development into areas that have, until recently, remained relatively intact. Accounting for such impacts is essential for mitigating them, although it can be a challenging task. Consider the Great Western Woodlands in south-western Australia. This is the largest remaining temperate woodland on the planet yet few people (including most Australians) have ever heard of it; and it’s under threat from a myriad of developments. The Great Western Woodlands are special for many reasons. They are home for a fifth of Australia’s eucalypts, more than 3,000 flowering plant species (many of which are endemic to the region), and provide a refuge for many species that have become locally extinct from the adjacent, heavily cleared, WA wheatbelt. 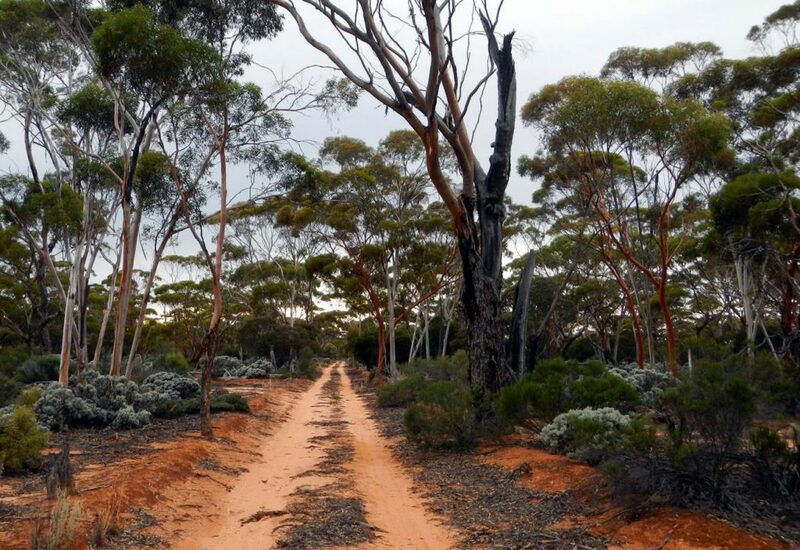 Located in the interzone between the continent’s arid interior and the relatively wet south-west, the region consists of large expanses of diverse eucalyptus woodlands, shrublands, salt lake systems, banded ironstone formations, and mallee vegetation. It’s also the driest place in the world where tall woodlands such as this occur. What’s more, the region remains largely intact and functions ‘naturally’. It has been identified in a number of studies as a national and international priority for conservation. But the natural values that make this region so important are under attack. Large parts of the region have been degraded by timber harvesting, stock grazing and the invasion of exotic species. It is also a rich mineral province with widespread gold, nickel, and iron ore reserves. Mineral exploration and extraction bring their own suite of impacts. More than half of the region is covered by over 5,000 active mineral tenements. There are over 330 operating mines and more than 100,000 abandoned mines dotting the landscape, and the Western Australian Government is actively promoting the state as a desirable mining destination. The anthropogenic footprint of the various developments in the region has never before been estimated, and the area was poorly mapped. To understand what was at play in this precious region, we created a stratified, almost-random set of sample areas (each of ~490km2) to represent a range of mining activities in areas with and without pastoralism. We then used high-resolution aerial imagery to manually digitise all the anthropogenic disturbances that we could see. 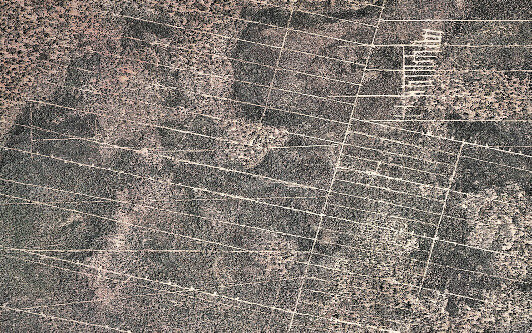 We digitised disturbances as either ‘hubs’ (eg, mine pits, waste rock dumps, mining villages, dams and tailings dumps), or ‘linear’ (ie, roads, tracks, railways, exploration gridlines and fence lines). We used the results to estimate the total development footprint and length of linear infrastructure for the entire region. We also conducted a set of analyses to identify the key drivers of the development footprint, and estimated what proportion of the surrounding landscape is likely to be affected by edge effects from the developments we observed. Unmapped linear infrastructure, only detectable through manual digitisation, accounts for the greatest proportion of the direct development footprint. Across the 160,000 km2 Great Western Woodlands, the estimated development footprint is 690 km2, of which 67% consists of linear infrastructure and the remainder is ‘hub’ infrastructure. An estimated 150,000 km of linear infrastructure exists in the study area, equating to an average of 1 km per km2. Beyond the direct footprint, a further 4,000–55,000 km2 (3–35% of the region) lies within edge effect zones. There were a number of factors that were found to significantly predict the extent of development footprints in the Great Western Woodlands. The principal factor was mining activity which showed a strong association with development footprints. Pastoral grazing was also found to significantly predict development footprints, but here there was an interesting interaction: at low mining project densities, development footprints are more extensive in pastoral areas, but at high mining project densities, development footprints tend to be smaller on pastoral tenure compared to non-pastoral areas. Our prior expectations were that the effect (of pastoralism and mining) would be approximately additive so this result came as a surprise. It may reflect the ‘good neighbour policy’ and related codes of conduct whereby there is a stronger onus on exploration companies operating within pastoral leases to use existing roads where possible and rehabilitate all cleared areas once the exploration is complete. This finding indicates that there is substantial scope for development proponents to reduce footprints outside of pastoral leases. Other factors affecting development footprints included proximity to a town, greenstone lithology, clearing restrictions, and the presence and type of conservation estate. Our study demonstrated the extensive and largely unmapped nature of anthropogenic disturbance in the world’s largest remaining temperate woodland. It highlighted the dominance of linear infrastructure as a component of the development footprint, and the large potential extent of edge effects, although large tracts of largely undisturbed vegetation do remain and can be conserved. 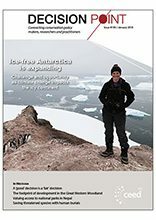 Targeted manual digitisation of direct development footprints in stratified sample areas, combined with spatial analyses and hypothetical edge effect zones gleaned from the literature allowed for a relatively comprehensive quantification and characterisation of actual and potential ecological impacts. Mining activity was identified as the main predictor of development footprints. Around the world we are seeing a proliferation of development infrastructure (especially linear infrastructure) in what have traditionally been remote locations. Our study concludes that both direct and offsite ecological impacts of linear infrastructure should be explicitly considered in environmental impact assessments (including cumulative EIAs), land-use and impact assessments, land-use and conservation planning, and monitoring. 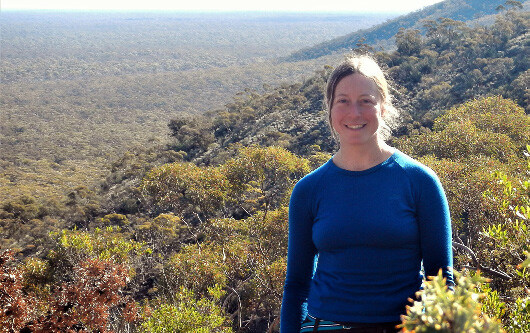 Keren Raiter in the Great Western Woodlands, the largest remaining temperate woodland in the world. The woodlands face multiple threats but also present an outstanding opportunity for large-scale conservation.